In memory of Olympic Shooting legend Lones Wigger, USA Shooting and the National Training Center Shooting Club officially dedicated Firing Point 28 on its lower 50-meter range inside USA Shooting headquarters on Friday. Wigger passed away exactly one year ago today after a prolonged battle with pancreatic cancer. Though gone, his impact on the sport and those around him, will never fade. Since 1984 when the USA Shooting Center opened in Colorado Springs, Wigger was a regular fixture on that firing point. He shot almost daily up until his death. Members of the National Training Center Shooting Club and employees at USA Shooting wanted to create a lasting memory for the impact Wigger had on the shooting community. Extreme devotion to his craft was Wigger’s trademark, and now that firing point will forever represent that ideal and the man who helped put a stamp on USA Shooting’s tradition of excellence. In honor of his achievements and in celebration of his 80thbirthday on August 25, 2017, USA Shooting renamed the interior of its headquarters and upper range the Lones Wigger Legacy Hall and Range. A memorial service with family and friends was held in late February to celebrate Wigger’s legacy in the sport. His legacy also lives on through the Lones Wigger Legacy Endowment that supports youth shooting initiatives including USA Shooting’s Junior Olympic program. More than $500,000 has been raised in support of the Endowment. Join Lieutenant Colonel Wigger in creating a lasting legacy for the shooting sports and helping support a legacy endowment which will provide additional funding opportunities for USA Shooting to help grow youth programs and enhance grassroots development. DONATE NOW. 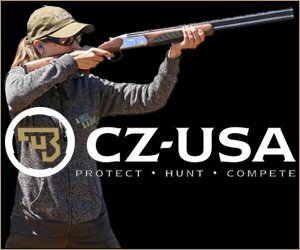 Sponsor a 50m Firing Point – Here’s your chance to have a distinguished USA Shooting Team firing point alongside Lones Wigger’s point 28. Get one of the remaining 50m points in the Olympic Shooting Center in Colorado Springs, Colorado, and USA Shooting will place a beautifully inscribed bronze plaque on the floor to mark your special point. This is a great way to recognize a special family member, your shooting club, organization, range or company. For more information or if you have any questions/comments, please contact: donate@usashooting.org or call (719) 866-4883.